The Award is given for stylistic research and originality of expression. This is very important internationally recognized award for achieved artistic quality. Artwork in the catalog in Haven's gate. 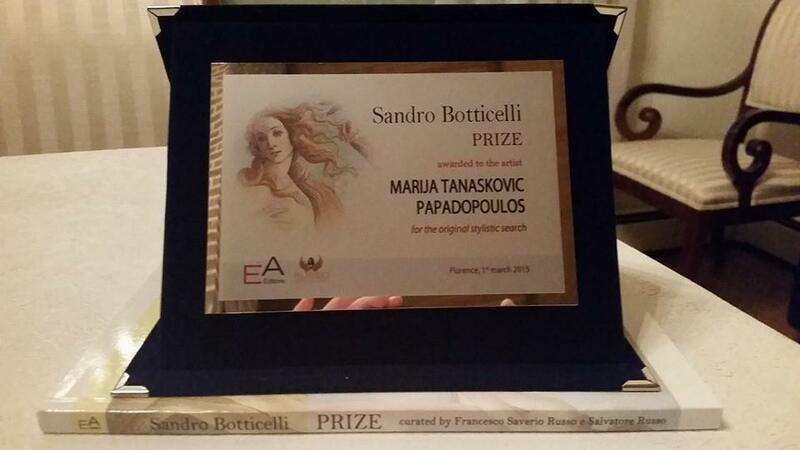 The Award presentation happened in Florence , March 1 2015.